Stop & Shop, Giant, and Giant/Martin has added another awesome new e-coupon to our accounts. 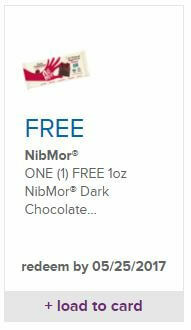 Shoppers are receiving a 1 FREE Nibmor Dark Chocolate Cherry Bar 1oz, S&S eCoupon, up to $1.00 exp. 5/25 – Must Load 5/12- 5/13 Awesome! Load this eCoupon now and add another FREEBIE to your list! Bonus! 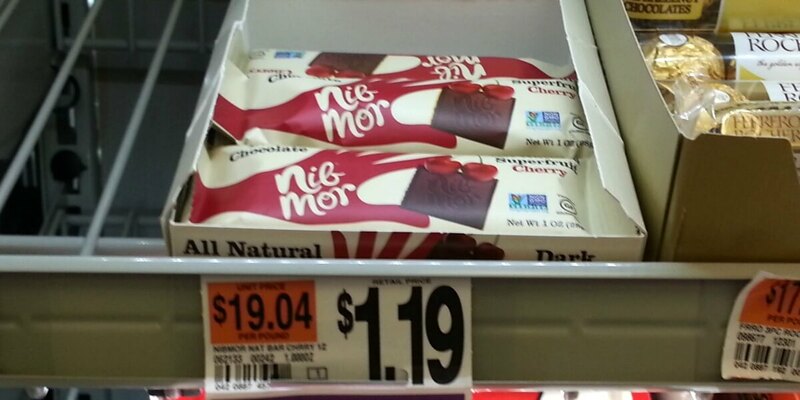 We also have a $0.50/1 NibMor All Natural SuperFruit bars 1oz only, Checkout51 Rebate and a $0.50/1 NibMor All Natural Chocolate Bar for any variety, 1.0 oz. size., Ibotta Rebate available. Turning this FREEBIE into a $1 Money Maker! Woot Woot! as low as FREE + $1.00 Money Maker!